Just before the first coins of the new America the Beautiful Quarters are launched into circulation, the United States Mint has released coin images for the first five coins of the series. 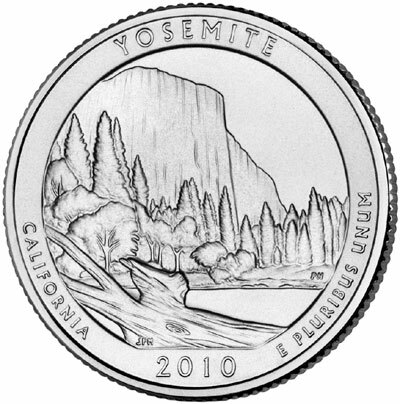 The America the Beautiful Quarters Program will present a different National Park or National Site from each state, territory, and the District of Columbia on the reverse of a circulating quarter. 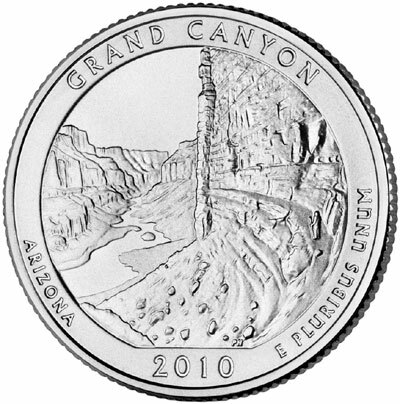 The quarters will be released at a rate of five new designs per year starting in 2010 and concluding with a single design released in 2021. The parks and sites will be presented in the order first federally designated. 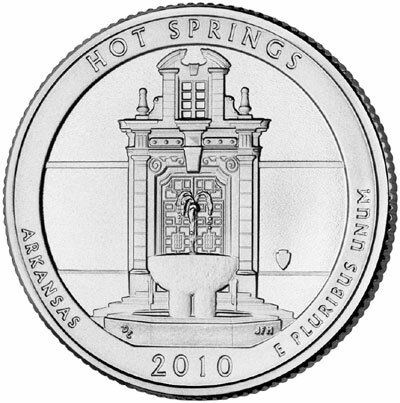 The Hot Springs National Park Quarter is scheduled for release into circulation on April 19, 2010. A launch ceremony will be held at the administration building of the park, located at 101 Reserve Street, Hot Springs, Arkansas on April 20, 2010 at 10:00 AM CT. The launch ceremony is scheduled to coincide with the 178th anniversary of the park. It was established as a reservation by Congress with the signature of President Andrew Jackson on April 20, 1832. 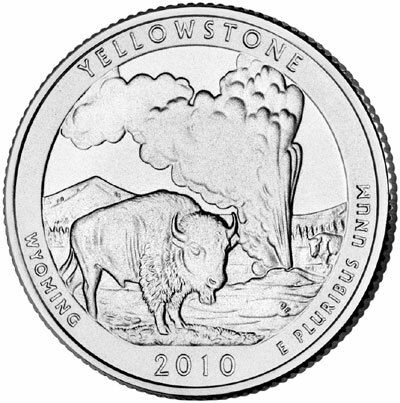 The Hot Springs Quarter will be followed by quarters depicting Yellowstone National Park, Yosemite National Park, Grand Canyon National Park, and Mount Hood National Forest. 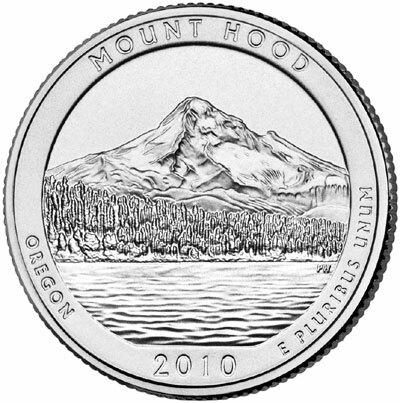 The Mint had previously unveiled the designs for the 2010 America the Beautiful Quarters in the form of line art drawings. The new coin art images for each quarter are presented below.